Introduction to Asperger’s Syndrome. 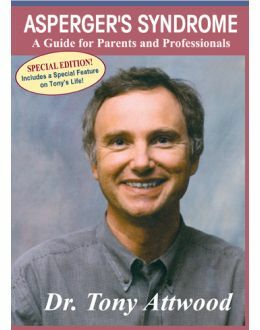 Tony Attwood describes numerous intriguing case examples and offers practical strategies that worked for people with Asperger’s. In hour one, Tony provides a diagnostic description of a person with Asperger’s. In the second hour, he offers a social curriculum that includes ideas and activities. The third hour focuses on emotion management. This special edition DVD also has a bonus section on Tony’s life.